Iconic American fashion brand has opened a new store in 1st Avenue, Penang in line with the brand’s expansion plans for 2011 / 2012. 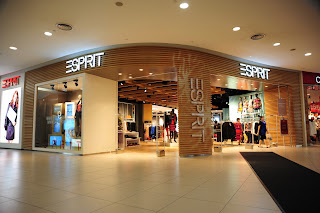 Catering for men, women and children, this new store will stock the latest high fashion trends and styles from ESPRIT. ESPRIT has a focused expansion plan for the brand within Peninsular Malaysia. In the current climate the brand is aware that discerning shoppers are looking for high quality fashion items at reasonable price points. The ESPRIT shopping experience meets the needs of this audience effectively. The new stores of ESPRIT are a welcome destination for customers who seek timeless fashion, quality and comfort. Originating from San Francisco, ESPRIT’s new store embodies and personifies its roots. With an innovative new design concept based on a hybrid fusion of new design elements from various global Esprit locations, the store has a rustic yet modern feel. 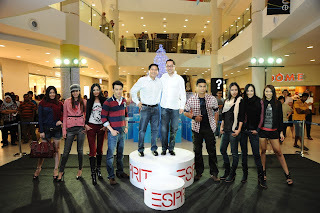 ESPRIT’s store at 1st Avenue Penang stands at 5,000sq feet. The exciting and varied collections, together with the attractive displays and perfectly arranged lighting comprise a winning formula that continues to attract fashion conscious shoppers on a weekly basis.